Promo material for The Zingo Factor. A Clown show for the 2018 Hamilton Fringe in the Gallery Series. 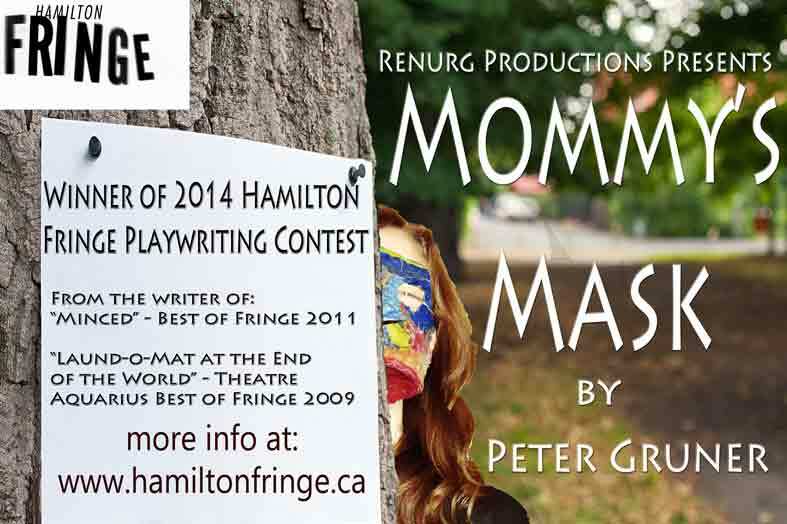 Promotional card for Mommy’s Mask which played at the 2014 Hamilton Fringe Festival and won the 2014 Hamilton Fringe Playwriting Contest. 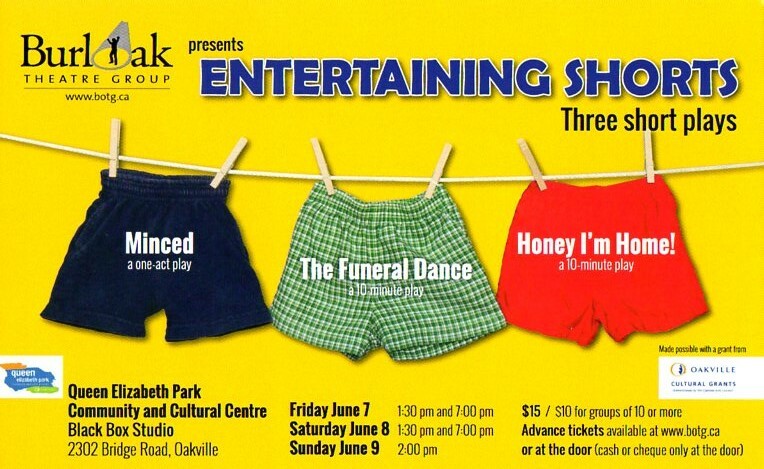 Minced was put on by the Burl-Oak Theatre Group in June 2013 as part of their show, Entertaining Shorts. Theatre Aquarius rebranded the Best of Fringe show as “The Mystery Double Feature”. Missed Connections was a musical that got paired with Minced. Poster for Cast Away, which was part of Pearl Company Canadian Theatre Festival. I created a few potential posters and let Facebook Friends vote on their favourite. This was the winner. Poster for Minced from 2011 Hamilton Fringe Festival. The play came in third place for the Fringe Playwriting Contest, but won Best of Fringe for the most popular show. 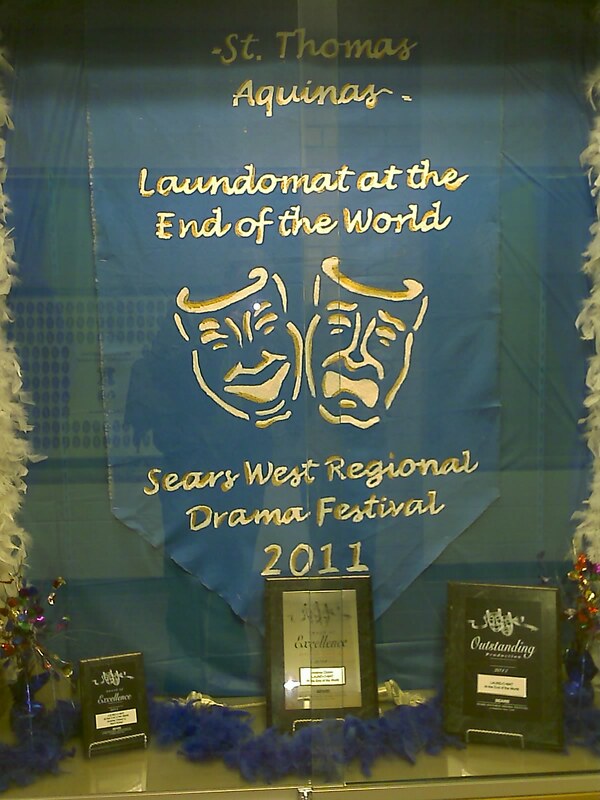 Students at St. Thomas Aquinas in Oakville put on my play Laund-O-Mat as part of the Sears Festival in 2011. 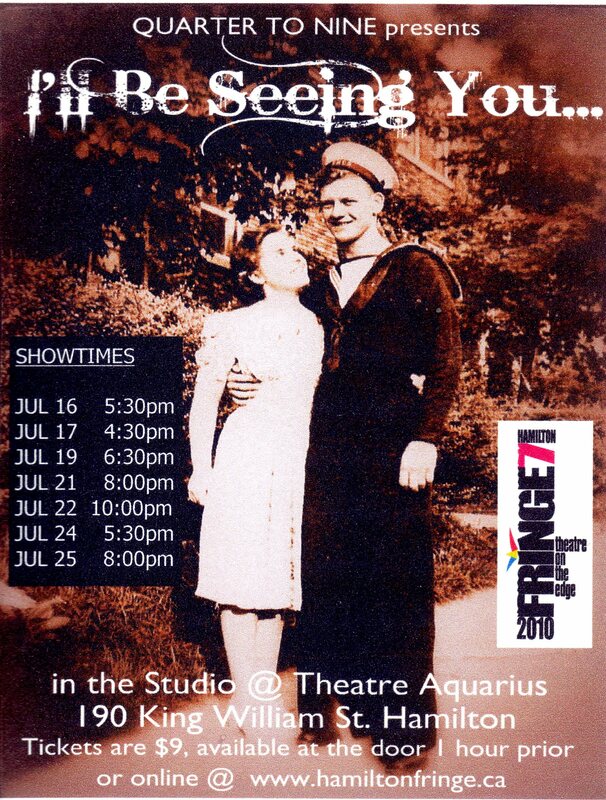 Poster for I’ll Be Seeing You, co-written with Shari Vandermolen and part of the 2010 Hamilton Fringe Festival. Poster for Best of Fringe 2009. 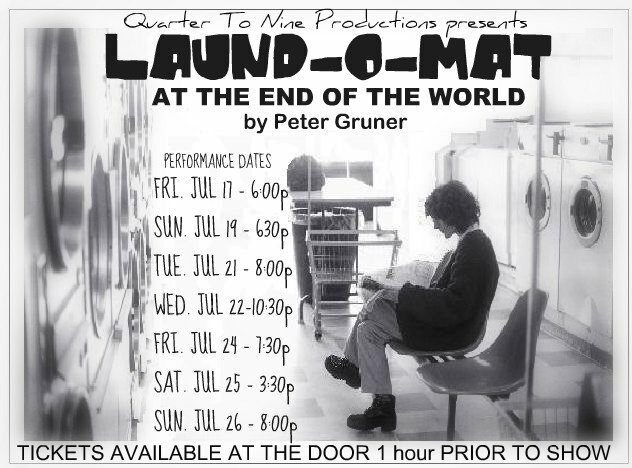 Nicholas Wallace won Best of Fringe and Laund-O-Mat was selected by Ron Ulrich (Artististic Director of Theatre Aquarius) to be paired with it. 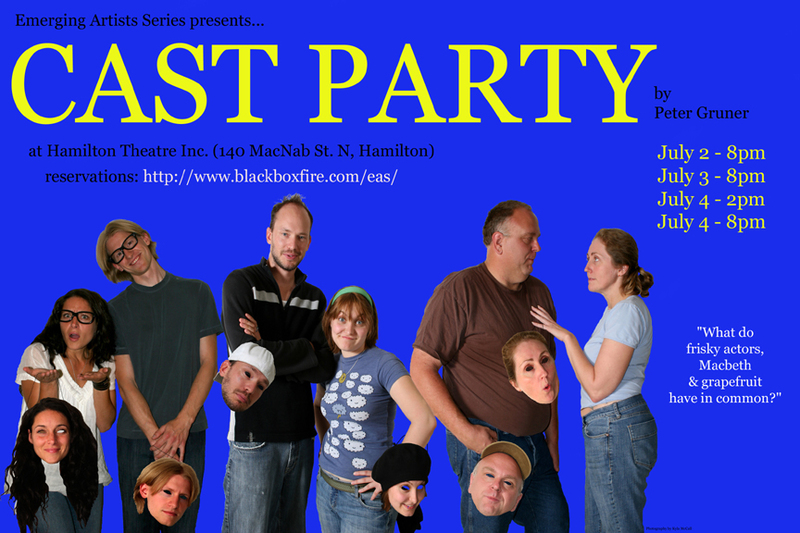 Cast Party was part of Black Box Fire’s Emerging Artists Series in 2009. First production of my first play. 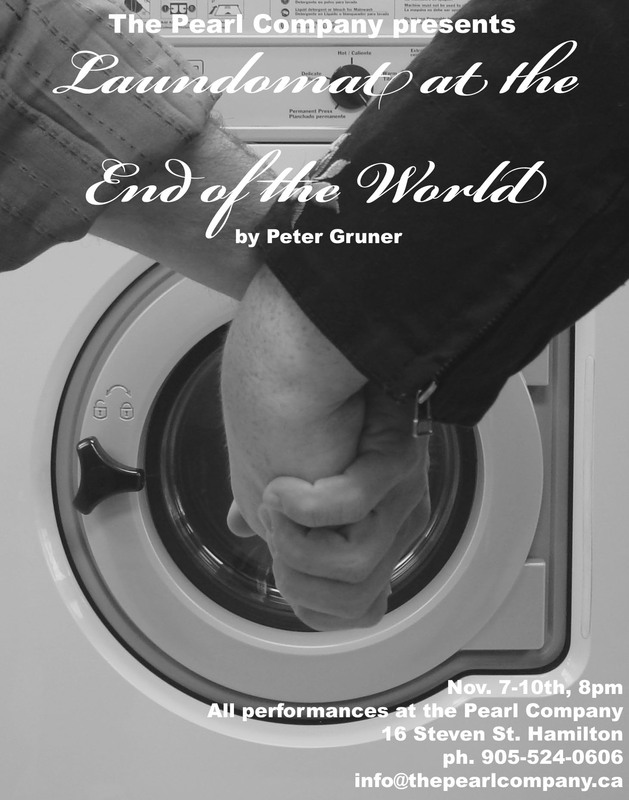 Laundomat at the End of the World premiered at The Pearl Company’s Freshwater Pearls in 2007.